Dr. Sandhya Purecha prosecuted her higher studies in the Bombay University and particularly Wilson College, Mumbai. In the year 1986, she stood second in BA. from Bombay University with distinction in Sanskrit, and won five prizes. In the year 1988, she completed her M.A. with distinction from Bombay University in Sanskrit in Alamkar Sastra as her principle subject. Thereafter she secured L.L. B. Degree in the year 1994. In the year 2001, she was awarded a Ph.D. by the Kavi Kulaguru Kalidasa Sanskrit Vishwavidyalaya, Ramtek; Nagpur She was also awarded the best child actress award by the Govt. of Maharashtra in the year 1978. The Govt. of India conferred on her National Junior Fellowship for the year 1998-2000 for research on Natyasastra. She has also received the National Senior Fellowship for the year 2007-2009 for research on Nrtya Ratna Kosa by Ministry of Culture, Government of India. She has also earned good reputation by her performances on the National and International levels. She received the benefit of learning under the guidance of the great Guru Acharya Parvatikumar for Bharata Natyam & the basic training in Folk dance was under Shri Ramesh Purav. it is worthy of note that she has participated in several Seminars held at different places earned mead of praise from the experts. She has also developed academic interest and her ten valuable papers are published in the research journal related to dance. Her thirty write-ups connected to dance have so far received the light of the day. At present she is working as the Artistic Director of Kala Parichaya, Mumbai and has imparted her knowledge to about 3000 students out of whom about 20 have gained national recognition. She is also connected with the Sarfojiraje Bhosale Bharatanatyam Training and Research Centre in the capacity of the Hon’ble Secretary & Managing Director. Dr. Sandhya Purecha is presently the Principal of Bharata College of Fine Arts and Culture affiliated to Kavi Kulaguru Kalidasa Sanskrit Vishwavidyalaya, Ramtek, Nagpur which offers degree to Ph D level examinations in Bharata Natyam and Kathak. She has to her credit three books- ‘Theory & Practice of Angikabhinaya’, the translation of ‘Catura Damodara’s Sangita Darpanam Nrtyadhyaya Chapter 7’, ‘Nrityawishkar’ all of which have gained international recognition. Nrityawishkar which is a diploma course book for Bharata Natyam is utilized for reference by young aspirants. Her next mission is to translate all 36 chapters of Natyaãstra in Marathi. She is also the recipient of ‘Maharashtra Rajya Sanskrutik Puraskar 2005’ ‘Gujarat Gaurav Puraskar- 2007’ by Gujarat Sangeet Natak Akademi and ‘Dr. B. R. Ambedkar Award — 2007’ Thus in Dr. Sandhya Purecha’s personality there is a harmonious combination of academic flavour and practical wisdom in the domain of dance. I have great pleasure in presenting my research work on the topic Theory and Practice of Kalasa Karanas & Sthanaka - Mandala Bheda from Kumbharaja’s Nrtya Ratna Kosa to the sincere lovers of Dance. NrtyaRatnaKosa is authored by Maharaja Kumbha of Mewada. The work which have presented is for the Senior Fellowship awarded tome by the Ministry of Culture for work which I have contributed in the year 2007-2009. For the purpose of presentation, I have also prepared a translation of the text into dance with suitable music composition. In the first chapter I have dealt with the Kalasa Karasms. The world comprises many Karana Margas but inspite of that, Kumbha Raja does not consider any of these and gives the novel idea of Kalasa Karanas based on body language inspired by nature. The second chapter gives us the general idea of Mandala and Sthanaka which include standing, sitting and reclining postures. The motionless poses in the various postures of the body are Sthanaka and Mandala. Sthanaka consists of static movement and Can and Gati consists of Dynamic Motion. The two are inseparable forms which are very much related to each other and therefore we have primarily selected the latter for the purpose of translation. Some similarities have been found of the same Mandalas and Sthanakas in the Natyasastra Sangraha Part It. These are also mentioned as footnote for reference. The predecessors of the work are so many that a comparative research work would amount to a vast ocean of research. Keeping this thought in mind, only references from Natyasastra Sangraha are taken. The relation between the theory and the traditional practice is like that of the umbilical cord from a mother’s body to that of her child. Knowledge derived from both Sastra and Sampradaya ought to be in harmony. This essential element is observed in the tireless effort of Dr. Sandhya Purecha who is now successfully presenting her fourth book based on her research work on Kalasa Karanas and Sthanaka - Mandala Bheda from Kuthbharaja’s NrtyaRatnaKosa. I have been knowing Sandhyaji as a performing academician for a long time now and sincerely applaud her expertise as a performer and a scholar in Sanskrit as well as dance. She has an innate inclination towards the knowledge of the sastra and its application into traditional practice. This is highly evident from her pristine work on Abhinaya Darpanam and Sangita Darpanam. Her urge to delve deep into the subject and her analysis of its finer aspects give indemnity to her work. The translation of Kalasa Karanas from NrtyaRatnaKosa of Kuthbharaja is indeed pioneering as it opens newer avenues of innovation for artists. Karanas arouse interest in almost every mind as they complement the beauty and grace of a performing artist. The six Kalasa Karanas along with their variations, which are adapted from the enviornment, are presented systematically and skillfully. In my opinion, one of the most striking features is the illustrations which are arranged for each of the Kalasa and its variations. In Mrga Kalasa, the rapid movements of a pregnant female deer with fear and caution as expressed in the illustration reflects the ingenuity of the translation. Each word with its divisions and numerous meanings would make the task of the interpretation even more difficult, not to overlook the effort in translating it in two languages - English as well as Marathi. This work had no prior references or interpretations thus Dr. Sandhya’s work is of great relevance. Every word has been separated and linked in order to get an accurate translation, and this of course was aided by her adeptness as a dance performer and guru. In the second part, Sthanaka Mandala Bheda, Sandhyaji’s knowledge of the Natyasastra seems to have played a huge role as she has mentioned direct references to N.S.S. II. Yet again, the structure is orderly and easy to comprehend. In the note on Sthanaka Mandala Bheda, the comparative study of several Sanskrit texts gives us an insight into the authors’ vast store of knowledge on the subject. This note is highly informative and educative. This book is indeed a mile stone. I urge every dance lover to go through this esteemed work. Bharata wrote about creativity and innovation in his Natyasastra in the 2nd Century B.C. The experts are to use the hand gestures according to the popular practice and, (in this manner) they should have an eye to their movement, object, sphere, quantity, appropriateness, and mode. Bharata emphasizes that we can mould our sastra and this change can only come by practice of Sastra. Acharya Parvatikumar took the initiative to bridge the gap between theory and practice by teaching me Abhinaya Darpanam. In an effort to perpetuate this, I am teaching various Sanskrit texts like Sangita Darpanam, Sangita Ratnakara, NrtyaRatnaKosa etc. Thus Marga tradition i.e. the technique based on Natyasastra is designed along with traditional repertoire. Some examples are: Audio visual presentation of Nandikewaras Abhinaya Darpanam; Performance of various gatis from Sangita Darpanam of Catura Damodara; Nayaika & Nayika Bhedas and Anga, Upanga, Pratyanga Bhedas of Natyasastra; and now demonstration of Kalasa Karanas and Sthanaka Mandalas from NrtyaRatnaKosa. This approach to the glorious past is our humble service to all those scholars who have endured experiences, so as to enrich the new generation and illuminate their thoughts. We find Laksana laksya viruddham in Raga (Chapter IV) of Sangita Darpanam, Sanskrit text. It is evident from this that there was a discrepancy between implementation of theory and practice even in the 16th Century. Discrepanies arose in the past due to diverse methods of functioning of eminent dancers and great scholars. They worked independently of each other in isolated segments. Consequently, a dancer remained miles away from sastra and the scholars were ignorant towards practice. The word sastra etymologically means “sasti tat sastram”. Sastra is that which regulates or governs a systematic or orderly exposition. A Dancer uses these texts into traditional practice. After series of research, I realized that sastra does not restrict one’s creativity; on the contrary it broadens one’s horizons and enhances knowledge and novelty. As the world strived behind creativity and innovations in body language; we searched our foundation, set foot in the past and discovered the treasures of body language which were already founded in our Sastra by our ancient learned scholars. What we are unaware of is that, what we use traditionally in our dance is already mentioned in the scriptures and the innovation which arises from it is also indirectly a part of the scriptures. Theory is stagnant and the only change that can be brought about is by practice. We at Bharata College of Fine Arts & Culture are in an effort to preserve tradition of Bharatanatyam and sastras helps us to channelize our minds towards the comprehensive study and analysis of psycho physical relationship. On this note, I would like to mention why I selected Kalasa Karanas for translation. After much research, I found that Kuthbharaja had mentioned all the Karai3as in his NrtyaRatnaKosa, but Kalasa Karana was his own unique contribution. This gave me immense motivation to study this section and translate it so as to spread the ingenuity of this masterpiece to all. In conclusion, it is with a sense of deep gratitude that I take this opportunity to express my indebtedness to Acharya Parvatikumar, who has been revealing to us the secrets of Indian Dancing for the last several years and warning us at the same time, “This is nothing. There is a lot more to do..a lot more..” What else can we do, but pray unto God that our Guruji should have a long life and that we his disciples earn the mental, physical and intellectual capacity to imbibe from him. Nrtya Ratna Kosa, published in two parts in the Rajasthana Puratana Granthamala, is part of a bigger work called Sangitaraja consisting of 16,000 verses (Sodasasahasri) which is described in the colophons as sanglta-mimamsa. The Sangitaraja contains the following Ratna Kosas :- 1) Pathya Ratna Kosa, 2) Gita Ratna Kosa, 3) VadyaRatnKosa, 4) Nrtya Ratna Kosa and 5) Rasa Ratna Kosa. Of these, Pathya Ratna Kosa edited by Dr. C. Kunhan Raja was published in Bikaner In Ganga Oriental Series, as No.4, in 1946. The question arises as to who is the author of the Sangitaraja, of sixteen thousand verses? Two kings - Kumbhakarna and Kalasena - claim the title. The anomaly arises from the fact that some Mss. of the work in their colophons as well as the body of the text mention Kumbhakarna as the author, while some others mention Kalasena, The statistical evidence of the MSS of Pathya RatnaKosa are more confusing than enlightening. Dr. C. Kunhan Raja, on the strength of this type of evidence came to a rather amusing conclusion that, because the majority of the Mss. examined by him, mention Kalasena as the author, a very careful examination of the position leaves no doubt that Maharaja Kumbha of Mewad is definately the author. Thus as far as the three Mss. of the Nrtya RatnaKosa are concerned the majority of the references gives the title of authorship to Kumbhakarna. Puratatvacarya, Muni Jinavijay - from Rajasthan Puratan Granthsala mentioned that they also consulted the other Ratna Kosa in the Sangitaraja MS belonging to the library of the Oriental Institute of the M.S. University, Baroda. They unanimously reveal Kumbhakarna as the author in their colophons. The Nrtya Ratna Kosa is composed in Karika form in Anustupa Meter also following various other canda's like Sardula Vikridita, Vasanta Tilika, Sragdhara, Sikharani. The meaning of the word Kalasa has no prior references. Even the grammarians have not defined Kalasa as a word in the dictionary; therefore, performing artists have to rely on the permutations and combinations of different syllables. As a dancer and a Sanskrt student, I have tried to reach to the closest meaning of Kalasa with reference to the Kalasa Karanas of Nrtya Ratna Kosa. 'Ka' according to The Student's Sanskrt - English Dictionary written by Vaman Shivram Apte means 'Happiness', 'Joy', 'Pleasure.' 'Las' on the other hand means 'to dance', 'to grace' and 'to adorn.' 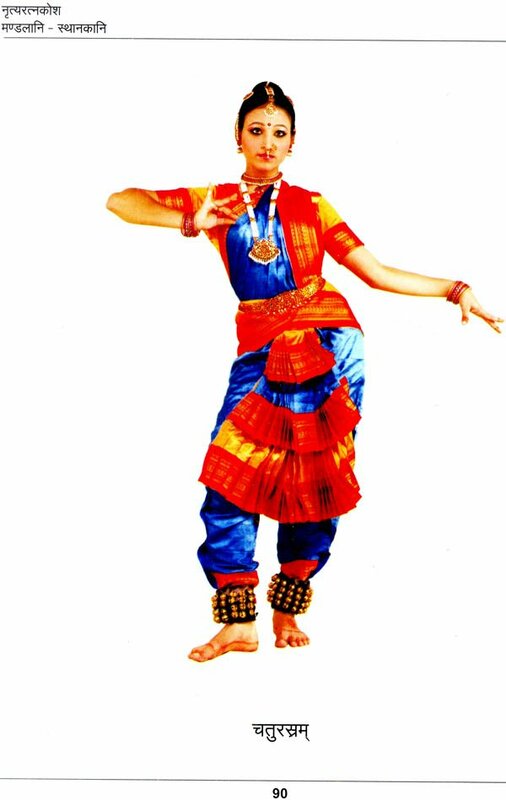 So after combining the two syllables, Kalasa means a dance which is a happy, joyful and pleasurable performance. The Kalasa are joyful movements of the complete body where the Anukarana (i.e. imitation) is an important factor. For instance, in Baka Kalasa, one must imitate the body movements of the Crane, in Mrga Kalasa, one must emulate the body language of a pregnant female deer, in Vidyut Kalasa, one moves the body according to lightening and so on. Thus with my previous knowledge on Abhinaya Darpanam, I find that these Kalasa Karanas have striking resemblance to the Gati bhedas of Abhinaya Darpanam. The term 'karana' stands for action. Action in relation to what? Action involving dance which is the graceful placement of the limbs. This action is different from the ones involved in rejecting something or taking something as in common activities. Often the word Nrtta is prefixed to the term as Nrttakarana. But the usage as Karana alone is explained with an analogy of the usage of the name Bhima instead of Bhimasena. According to Dr. Padma Subramaniam ‘‘the sthana represents the definite lines of the body, within the frame work of which the cari is to be performed. It may be a position of the body with the knees erect or bent. Even when the Nrttahasta undergo their course of action, sthana may not change. Similarly cari are performed within the frame work of sthana." References to Karana are to be found in many ancient works. The temples of Tanjore, Kumbakonam, Cidambaram, Tiruvannamalai, Vriddhacalam, have excellent sculptures of Karana in a systematic manner. Kriya karanam. Kasya kriya. Nrtyasya. Gatranam vilasarnksepasya, Heyopadeyavi yakriyadibhyo vyatirikta ya tatkriya karanamityarthaha. Ata eva nrttasabdena visenam nrttakaranamiti. Ekadesabhiprayernna tu karanasabdasya prayogo bhimasene bhima itivat. N.S. gives 108 Karanas. The S.Maa. added to it and called it "Nohari" quite in agreement with the S.R. Srikantha in his Rasakaumudi concludes the nrtyadhyaya by giving the mere number of the varieties of karanas etc. (Verses 197-305) and gives the description of some karanas but he has not elaborated them. S.M. gives Sundaram, Tribhangi, Tribhangivalitam, Citraswastikam, Parsvadvayanatam, Purahapascannatam, Parsvaprasaritam, Prafullam, Fullam, Citram and Vicitram as Margi Katanas, but none of these are mentioned by the N.S. or the previous writers. He also gives some Desi Karanas. Subhankar a of S.Dam. gives one Ch. for dance titled as Sruti which also includes the Anga, Pratyanga & Upanga. The author does not go into detail of these varieties & only gives their different names. 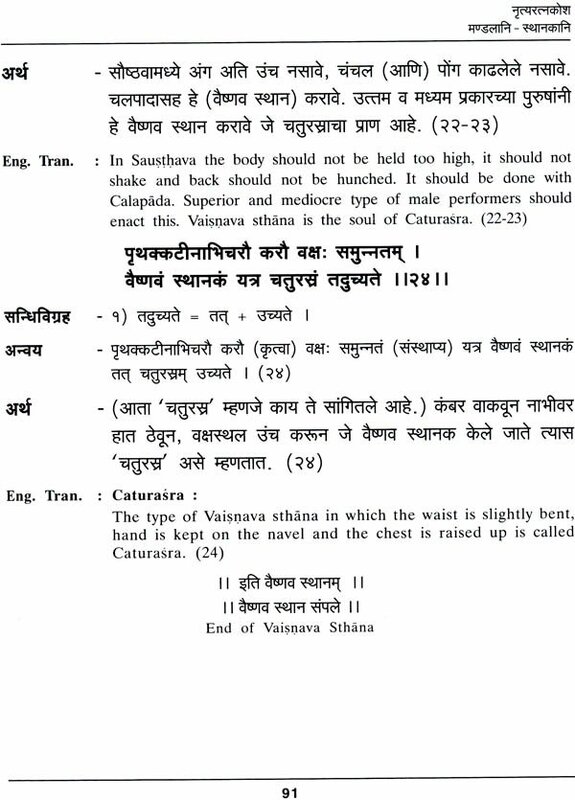 Subhankara gives almost the entire list of karanas according to the N.S. but very surprisingly he gives the list in the reverse order. This means the order of karanas begins with Gangavatarnam & ends with Talapuspaputkarana. S.c. follows the S.R. in the description of 108 karanas. Only in some places the language used by Vipradasa differs from Sarangdeva. Many of the later writers followed Bharata in giving the description of Karanas. The number & nomenclature may differ from text to text. V.D.P. follows Bharata in describing Karanas but, he additionally gives 17 Karanas which are not mentioned by previous writers. They are Ajapluta 3.20.51, Ahirsarpita 3.20.51, Akranta 3.20.51, Ksipra 3.20.43, Candravarta 3.20.43, Taditabhranta 3.20.44, Nata 3.20.51, Nivrtta 3.20.49, Pariksipta 3.20.50, Bhramita 3.20.48, Mardita 3.20.51, Latalasita 3.20.48, Vanarpluta 3.20.48, Vipluta 3.20.50, Vilasa 3.20.48, Sucivrta 3.20.51. Sudha Kalasa in his S.U.S. gives 20 additional Karanas they are Latakuncita 6.103, Urusliptakama 6.98, Parsnisanghatitama 6.93, Prstakuncita 6.68, Recita 6.13, Asancita 6.51, Uruksipta 6.98, Urdhvarecita 6.22, Katinikuttaka 6.104, Katirecita 6.17, Nitambasvastika 6.58, Nivrtta 6.66, Patitotpatita 6.97, Padakranta 6.102, Bhramita 6.31, Vaktramarecita 6.32, Vaksorecita 6.52, Vilolita 6.82, Sarpavalita 6.69, Samunnata 6.69. Mohmmad Shah in his S.MAA. 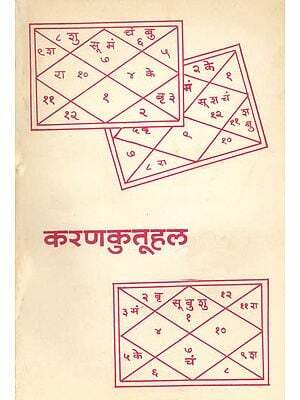 gives 3 additional Karanas namely Ekapadancita 196, Bhairavancita 197, Lohari 234. In Sangita Darnodara we find 5 new names. They are Utsarpita, Kutta, Nagaprakridita, Mukula and Sucipada. Karana is a unit of dance. In this connection, it is observed: (Ibid. p. 108) "Each Karana is a movement and not a static posture. 108 such Karanas are described in the Natyasastra. These Karanas are of various qualities and are all common for both the sexes. The Nrtta or dance based on Karanas can be broadly classified as Laghu- flowing gracefully, Visama-complicated and acrobatic, and Vikata-hilarious. The Karanas are to be used according to the characterisation, taking into account the inevitable psycho-physical relationship. The Karanas are meant for Vakyarthabhinaya, viz; to bring out the mood or meaning of the whole sentence through physical action. They are beautified through Recakas which are ultimately responsible for the artistry of these movements. They give the necessary soft and virile touch of these movements." Dr. Padma Subramaniam has made an attempt in the Nataraja temple at Satara (in Maharashtra) at the insistance of Jagadguru Sankaracarya of Kanci. She records her experience as follows. (P.V. Jagadisa Ayyar, op. cit. p. 349) "I was to design a fresh set of figures and not simply copy the existing ones. The diagram had to be based on my reconstruction of the Karanas and I was expected to try and freeze those interim stages of the movements which are not already recorded elsewhere. Each panel has to have the twin figures of Siva and Parvati. The relevant quotation of the couplets from Natyasastra were to be inscribed in Devnagari script under each panel. These were to be installed at an eye level in the outer circumambulatory of the Nataraja shrine, for the convenience of viewing them." "In all the panels at Satara, Parvati is shown with two hands, whereas Siva is shown with four. The three pairs of hands are utilised to denote three stages of the respective Karanas. The posture of Devi and Siva are also shown in progressive animation. The N.S. does not give any Desi Katanas. S.R. gives some 37 Desi Karanas. Later writers follow Sarangadev. A.D. does not give any Desi Karanas or any movements of Angaharas & Karanas. It gives Utplavana Bheda, Bhramari Bheda & Cari Bhedas. Some of these leaps, circular movements & walks respectively are similar to the Desi Karanas. B.B. does not give the detailed description of karanas but, according to the B.B. the use of the 18 Angas & their movements create karanas which are very useful to the artiste. He further gives only 3 types of Katanas they are Enpluta, Bhramana & Hanumatakarana. Besides the above mentioned one's Bharatarnava adds some 8 Desi Karanas. They are Daksina Bhramana, Vama Bhramana, Lila & Lata Bhramana, Urdhva Tandava, Akuncita, Parsva & Ardhakuncita. Devnacarya in his S.M. gives the long list of Desi Karanas which are similar to the other texts but, he gives around 18 to 20 new names in Desi Karanas. (S.M 63.16 - 60). All the later writers follows S.R. for the description of desi katanas They also add some new ones according to their style and practice. Topic Sloka No. Page No.